Designers are always busy; there are a lot of things to be done at their disposal that is why they never keep a watch with them as they know there is a possibility of getting back home late. They are creative souls whose minds are never at rest because the plethora of ideas never stops popping up and they have to organize it to give it a successful implementation. From the logo designs, to the typography posters, from business cards to the mockup PSDs, designers have a grip on everything; they know what to do and how to do it. New techniques and tools are being utilized by them and they never stop enhancing their masterpieces. It is the best things about them; they take their pursuits to heart like passion. It is said, when you are good at something never do it for free, sale what you can make and earn your livelihood like that. I have been making mockups to accommodate the designers so they can use them in their current or upcoming design projects. 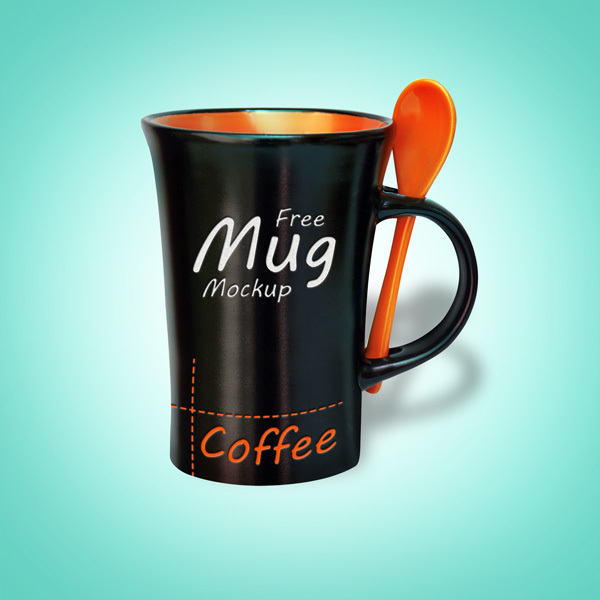 Today I am unfolding before you free black mug mockup PSD. Simply insert in your own design element to show it off to your clients, use it for personal projects. You know presentation is all that matters these days & you have to do all to make the presentation stunning. If the appearance is beautiful, the stance of it becomes clears. Build your cool impression on the clients by fulfilling your responsibilities towards them; I know it is very hard to satiate them when all they want is the redo, alteration and remake of the design. Be tolerant to them so they will always find a way back to you. Have a look, stay glued to the blog and we will be bringing more stuff for your interest. I am sure you will have an interesting time here! Thanks for the great Mockup. thankyou so much, it really helps a lot!